The Star Spangled Banner is not an easy song to sing. It is a beautiful song and is often not done justice at sports events around the country. Sometimes vocalists we expect to do a good job don’t, and occasionally someone we might not expect to do an awesome job does. Below is an example of the latter. Jack Black singing the national anthem. Enjoy. Steven Hayward at Power Line posted an article today about a very interesting comment made by Owen Paterson, Britain’s secretary of state for environment, food and rural affairs. The cabinet minister responsible for fighting the effects of climate change claimed there would be advantages to an increase in temperature predicted by the United Nations including fewer people dying of cold in winter and the growth of certain crops further north. Owen Paterson told a fringe meeting at the Conservative party conference on Sunday night that predictions by scientists – that there could be major increases in temperature resulting in melting ice caps and worldwide flooding – should not be seen as entirely negative. …”People get very emotional about this subject and I think we should just accept that the climate has been changing for centuries. “I think the relief of this latest report is that it shows a really quite modest increase, half of which has already happened. They are talking one to two and a half degrees. “Remember that for humans, the biggest cause of death is cold in winter, far bigger than heat in summer. It would also lead to longer growing seasons and you could extend growing a little further north into some of the colder areas. “I actually see this report as something we need to take seriously but I am rather relieved that it is not as catastrophic in its forecast as we had been led to believe early on and what it is saying is something we can adapt to over time and we are very good as a race at adapting,” he said. Needless to say, those supporting drastic action to combat climate change that has not occurred for the past fifteen years are a bit upset at the comments. The science of climate change is questionable at best. When you listen to the solutions suggested by those offering solutions, you discover that they simply involve the transfer of wealth from democracies to countries ruled by tyrants. Their solutions have nothing to do with climate and a lot to do with taking money from free countries that have developed their resources through the free market and giving it to countries where the money will go to corrupt leaders. Somehow that doesn’t seem like the answer to anything. Holly Robichaud posted an article in the Boston Herald today about the tech tax passed by the legislature and the governor earlier this year. It was repealed on Friday. It was understood from the beginning of the negotiations on the tech tax that the law would be confusing and detrimental to businesses in the Commonwealth of Massachusetts. However, the governor and the legislature chose to pass it anyway. Now the elected officials in the Massachusetts House and Senate find themselves in the embarrassing position of having to explain why they voted for the tax to begin with and why they repealed it. How dare her political opponents protect the interests of the voters. Rep. Carolyn Dykema, whom I have worked against, tweeted “impact of tech tax more broad than understood. Will have ripple effect across economy.” Dykema voted against holding a public hearing on the tech tax, then voted to strip the tech tax out of the bill, then voted three times for the tax package, and then voted to repeal the tech tax. Rep. Diana DiZoglio went with the Clinton defense of blaming politics. “It is my hope that any political games over this would be stopped. My Republican colleagues and I were on the same page regarding this tax vote. Unfortunately, we differed on whether or not to sustain the governor’s veto.” Let me translate — Republicans knew to vote against overriding the veto and I caved to pressure from the speaker. As long as the voters of Massachusetts keep electing these people, this will continue. We have the leadership we deserve. Yesterday Breitbart.com posted a story about the continuing uprising of Boko Haram militants attempting to take control of northeastern Nigeria in their quest to establish an Islamic state. Caution–the link contains a very disturbing picture. Suspected Islamic extremists attacked an agricultural college in the dead of night, gunning down dozens of students as they slept in dormitories and torching classrooms in an ongoing Islamic uprising in northeast Nigeria, the school’s provost said. Nigeria will have a presidential election next year. This is the face of Islam. Until Islamic leaders around the world begin to denounce this sort of behavior, I refuse to believe that Islam is a religion of peace. Government shutdowns have happened before. NPR posted an article today detailing some of the history of government shutdowns. Drawn-out fights over spending bills are nothing new for Congress. But that’s where the fights used to stay: in Congress. The rest of the country didn’t have to pay much attention to countdown clocks and all this drama. “In the ’60s and ’70s down until 1980, it was not taken that seriously at all,” says Charles Tiefer, a former legal adviser to the House of Representatives, who now teaches at the University of Baltimore Law School. In the old days, he says, when lawmakers reached a budget stalemate, the federal workforce just went about its business. “It was thought that Congress would soon get around to passing the spending bill and there was no point in raising a ruckus while waiting,” he says. That easygoing attitude changed during the last year of President Jimmy Carter‘s administration. That’s when Attorney General Benjamin Civiletti issued a legal opinion saying government work cannot go on until Congress agrees to pay for it. Benjamin Civiletti was sworn in as the U.S. attorney general on Aug. 16, 1979. In 1980 he issued a legal opinion saying that federal work cannot go on until Congress agrees to pay for it. That changed the way Congress and the country behaved when Congress took some extra time to agree on the budget. A handicap for lawmakers is that the White House makes the call of which employees are deemed essential and keep showing up for work. So even though Obamacare has been the main bone of contention in this year’s fight, President Obama insists the new health insurance exchanges will open on schedule Tuesday, even if much of the rest of the government shuts down. Conventional wisdom is that a government shutdown will seriously hurt the Republicans in the 2014 mid-term elections. I understand the basis for that idea, but I am not so sure it is valid–particularly if ObamaCare is funded and the rest of the government is not. ObamaCare is not a popular program, and if the debate revolves around ObamaCare, the Republicans win. If the debate revolves around the shutdown, Democrats win. There is also the matter of the fact that the President has stated that he will not negotiate. That really does not look good either. “Losing Our Sons” is a film telling the story of Carlos Bledsoe and Andy Long. Carlos Bledsoe was an African-American from a Baptist family who converted to Islam. On June 9, 2009, Carlos Bledsoe murdered Andy Long, a U. S. Army Recruiter in Little Rock, Arkansas. Carlos Bledsoe states that he did it “for Allah.” The film traces Carlos’ path from middle class student to American jihadi, and shows how American institutions at every level failed us all. The film will be shown in Stoughton, Massachusetts, on October 10th. Please see upcoming events for details. Melvin Bledsoe and Darius Long, fathers of both young men, will speak at the event. I have seen this film. It is well worth seeing. On Wednesday, Investor’s Business Daily posted a chart showing states and companies that have cut staffing levels or working hours because of ObamaCare. The chart only includes companies and states where strong proof is provided. I can’t even post the chart because it is so long. It is sorted by state, and I strongly recommend that you follow the link above to see the chart for yourself. In the interest of an informed debate, we’ve compiled a list of job actions with strong proof that ObamaCare’s employer mandate is behind cuts to work hours or staffing levels. As of Sept. 25, our ObamaCare scorecard included 313 employers. Here’s our latest analysis, focusing on cuts to adjunct hours at nearly 200 college campuses. 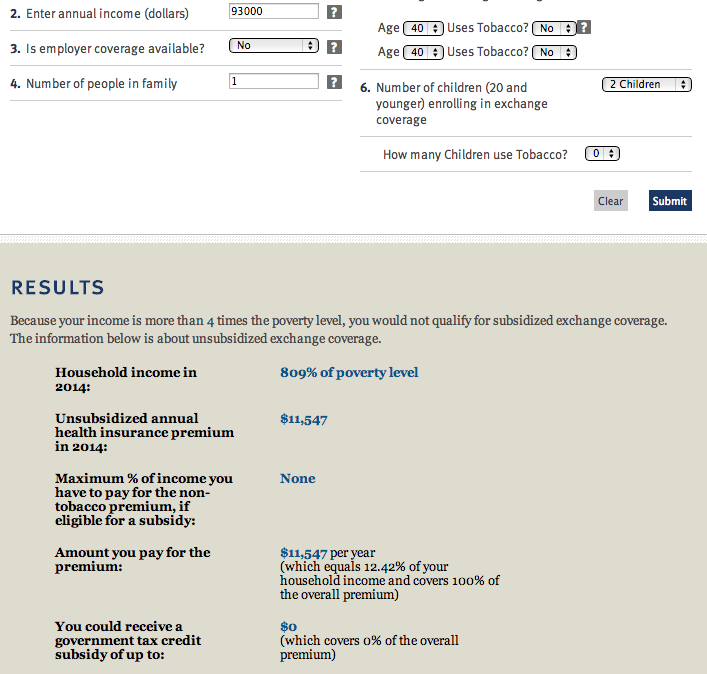 The ObamaCare list methodology is explained further in our initial coverage; click on the employer names in the list below for links to supporting records, mostly news accounts or official documents. We’ll continue to update the list, which we encourage you to share and download into a spreadsheet to sort and analyze. If you know of an employer that should be on the list and can provide supporting evidence, please contact IBD at jed.graham@investors.com. Keep in mind as you look at this chart that it represents real people with families to support, rents to pay, and financial responsibilities. ObamaCare needs to be stopped. I have no idea how that can be done, but it needs to be done. It will destroy the healthcare insurance industry and the American economy. I really wish Congress was required to read all the laws it passes before it passes them. That might have avoided some problems, although most of ObamaCare was not yet written when it was passed. Yesterday the Daily Caller posted an article about the impact ObamaCare will have on competition in the healthcare insurance industry in North Carolina. As it is currently being implemented, ObamaCare will create a healthcare insurance monopoly in North Carolina. “Although seven insurance companies currently operate in North Carolina, under the new Obamacare exchanges, those options will dwindle down to one in the majority of counties,” Ellmers (Congresswomen Renee Ellmers from North Carolina’s Second District) said Thursday following the disclosure of figures by federal health officials showing that more than 60 percent of North Carolina counties will have only one insurance provider option under Obamacare: Blue Cross Blue Shield. We know from past experience that monopolies are not a good idea. This is another example of why ObamaCare needs to be stopped in its tracks before it does any more damage. John Hinderaker at Power Line posted an article yesterday about what the police and soldiers are discovering as they enter the shopping mall in Nairobi where terrorists attacked and took hostages. The details are gruesome, and I am not going to post them here. If you are interested in exactly what was done to the hostages, please follow the link above. I will say, however, that it was well outside the bounds of civilized behavior. What lessons can be learned for the future? I would suggest three. First, al Shabab should be destroyed. It would make sense for an international force to invade Somalia and hunt down all members of that group. Second, with hindsight, Kenyan authorities waited too long to take definitive action to kill the terrorists. They allowed the siege to stretch out over four days. That may have made sense on the assumption that they were dealing with a “normal” hostage situation, but in the future, terrorists should not be allowed to work their evil deeds for so long. Third, far more civilians need to be armed. The Nairobi attack was carried out, authorities say, by only around 15 terrorists. There were hundreds of innocent people in the mall at that time. Unfortunately, hardly any of them were armed. If only 100 of the shoppers had been carrying firearms, the terrorists–notwithstanding their heavier weaponry, including hand grenades–likely could have been stopped, or at least kept at bay until soldiers arrived. At some point we have to realize that groups such as al Shabab have no place in civilized society. Their total lack of respect for human life is like a cancer on the world. It has to be stopped totally. The video below was posted at the Daily Caller yesterday. It is young children playing a game called ‘behead the infidel.’ Islam is NOT a religion of peace. Back in the days of dinosaurs when I was young, children sometimes got into mischief. Car windows were occasionally soaped, yards were occasionally toilet papered, cherry bombs were occasionally set off, etc. Admittedly, some of these activities were not totally safe or constructive, but they were considered part of childhood mischief. Parents were informed, and appropriate actions were taken. End of story. Somehow we have gotten away from that basic concept–parents are no longer called, and sometimes dealing with childhood mischief (which can be a pain in the neck) is delegated to a higher authority (not necessarily an authority with wisdom). That is what happened in a recent incident in Virginia Beach. Ed Morrissey at Hot Air posted an article yesterday about a student playing with a pellet pistol in his own front yard. He is facing expulsion from school for a year because of his actions. If Caraballo shot as his friends while they were playing, he needs to be strongly disciplined–he does not have to be expelled from school for a year. If he was simply playing in his own yard, it is none of the school’s business. At the very least, I think I would replace the pellet gun with a nerf gun and teach the child never to point a weapon at another person. Today’s Washington Examiner posted a story about the affect ObamaCare will have on the cost of health insurance for Americans. The healthcare exchanges under ObamaCare are expected to begin on October 1. 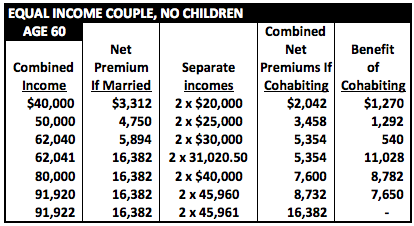 Senator Lamar Alexander released some numbers today showing how ObamaCare will impact the residents of Tennessee. There are some states where the cost of insurance will be lower than earlier projections–note that the cost is not lower than current premiums, but lower than earlier projections. ObamaCare is not ready for prime time. It needs to be delayed, amended, and moved toward a free-market plan. As it is currently formulated, it will fail. As the ObamaCare debate continues, today’s Washington Times had a very interesting piece of information about Congress and healthcare. The article reports that an internal Senate email warns Senators not to sign up for ObamaCare immediately because the health exchanges have not been completely set up yet. What about the rest of us–we are all supposed to be participating by next Tuesday? During the 2009 health care debate Congress approved language insisting that lawmakers and staffers in their personal offices will lose their federal health plans and must shop for plans on the exchanges — though last month’s ruling by the Office of Personnel Management said taxpayers will still continue to pay 72 percent of the premiums. 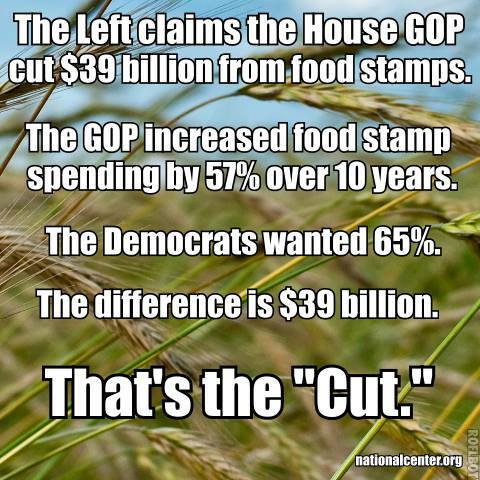 Republicans said that’s a benefit most Americans won’t get. Congress is not supposed to be a protected class–they should be forced to live under the same law that the rest of us are required to follow. 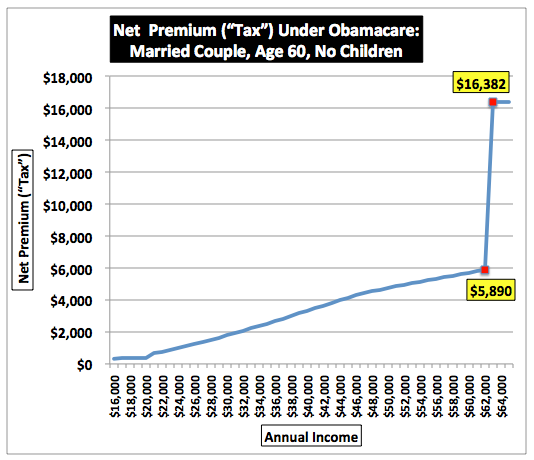 This is just another reason ObamaCare should be stopped in its tracks before it totally destroys healthcare in America. The Wall Street Journal posted a story this morning entitled, “Russia’s Anti-American Foreign Policy” (no link–subscribers only). So what happened to ‘reset’? Regardless of what is said between the two countries, the freedom of America is a potential threat to the totalitarianism of Russia. The U.S. needs three things from Russia: understanding in defense matters, assistance in the war on terror, and help in curbing the ambitions of rogue states. In each case, the record of the Putin regime is one of relentless obstruction. Among other things, Russia has objected to the idea of an antimissile shield in Europe. Why? There is no logical reason for that opposition. NATO has never been a threat to Russia. The Russians have recently taken in Edward Snowden, and whether you see him as a traitor or a hero, that was definitely a slap in the face toward the United States. One of the things that the article points out is that the Russian economy is deteriorating–in the second quarter of 2013, the growth was 1.2 percent. During the 2000’s the growth rate was 7.2 percent. Russia needs high oil prices to keep its economy afloat. Middle East instability results in high oil prices. There are two lessons to be learned here. First of all, we need to remember that Russia is looking out for Russia’s interests–not America’s interests. Peace in the Middle East is not in their interest. Second of all, we could be done with all this kowtowing to the tyrants of Russia and the Middle East if we would develop our own energy sources. We need the Keystone Pipeline so that we won’t be at the mercy of Russian foreign policy–we need to determine our own foreign policy without being enslaved to Middle East oil. Why Would Anyone Trust This Man? Washington – The U.S. Marshals Service today cancelled the auction of forfeited assets from the Jesse Jackson, Jr., case before the U.S. District Court for the District of Columbia. After receiving legitimate concerns about the authenticity of the guitar purportedly signed by Michael Jackson and Eddie Van Halen and out of an abundance of caution, the Marshals Service will conduct a secondary review of all the assets. Once the review is complete, a decision will be made whether to repost any assets for sale by auction. “The Marshals Service takes its responsibility to fulfill the asset forfeiture mission very seriously,” said Kim Beal, acting assistant director for the Asset Forfeiture Division of the U.S. Marshals Service. “Because new information has come to light, we are taking additional steps to review all the items. It is our practice to be diligent about all matters relating to the management and sale of assets.”Jackson pleaded guilty in February to conspiring to commit mail and wire fraud and to making false statements. He admitted that he defrauded his re-election campaigns of about $750,000 in funds that were used to pay for personal items and expenses. Net proceeds from the sale of the auctioned assets were to be used to help satisfy the $750,000 money judgment imposed by the court as part of Jackson’s sentence. The U.S. Marshals Service is responsible for managing and selling seized and forfeited properties acquired by federal criminals through illegal activities. Proceeds generated from asset sales are used to compensate victims, supplement funding for law enforcement initiatives and support community programs. As part of the Department of Justice’s Asset Forfeiture Program, the Marshals currently manage more than 23,000 assets with a value of $2.4 billion. The Daily Caller posted an article today that reminds us why opposition to ObamaCare is somewhat muted in much of Washington, D.C. ObamaCare does not impact federal employees. Members of Congress and Congressional staffers will receive large taxpayer-funded subsidies for their health insurance. Those of us who do not work for the federal government or Congress will be greatly impacted by the implementation of ObamaCare. Paul’s proposal — outlawing any special exemptions for government employees — would mean all federal workers would have to purchase health insurance on the new Obamacare exchanges instead of getting taxpayer-funded subsidies. Some critics say those subsidies amount to special treatment. The Obamacare health insurance exchange opens Oct 1. …Paul’s constitutional amendment says no federal employees should get special exemptions from laws. The senator also plans to push a proposal requiring that Congress and all federal employees rely on Obamacare for their insurance. His proposal comes after outrage from conservatives about a so-called “exemption” for members of Congress and their staff from Obamacare. If ObamaCare is such a wonderful thing, why do Congress and Congressional staffers need taxpayer-funded subsidies in order to participate in ObamaCare?